The Kiwanis Pediatric Trauma Institute provides more than just medical care. OliviaRose is screaming. Her mom and grandmother are trying to hold her down, but the struggle is real. OliviaRose is having nothing to do with this. And anyone in their right mind wouldn’t blame her. There’s a stranger with a rotating handheld saw standing next to her—and he’s ready to use it. He turns it on, and she screams louder. Her mom hands her a small stuffed animal. OliviaRose, a strong and feisty 19-month-old, throws it to the ground. The adults around OliviaRose are smiling and chatting—just so you know this is nowhere as bad as it seems. In fact, this is a completely normal scene inside the Kiwanis Pediatric Trauma Institute at Floating Hospital for Children at Tufts Medical Center in downtown Boston, Massachusetts. OliviaRose is about to have her cast cut off, and it’s a whole lot louder and scarier than she’s willing to accept. But less than 10 minutes later, OliviaRose has calmed down and is standing with full weight on her legs again—without the bright pink cast that moments ago covered her hips and thighs. OliviaRose came to Floating Hospital for Children after being hit by a car in her driveway. With a broken femur, she spent three days in the hospital, receiving special care the Kiwanis Pediatric Trauma Institute and Floating Hospital for Children could provide. KPTI began in 1981 as a partnership between the New England District of Kiwanis and Floating Hospital for Children at Tufts Medical Center. At the hospital’s pediatric emergency department, children like OliviaRose receive top-of-the-line care—the facility is verified as a Level 1 Pediatric Trauma Center by the American College of Surgeons. And the need for such a facility is great: Traumatic injuries are the leading cause of death and disability to children, more than all other diseases combined. OliviaRose’s grandmother, Lisa Torigian, speaks highly of the care her granddaughter has received at the hospital. Leslie Rideout is just one person responsible for the quality care OliviaRose received during her time at Floating Hospital for Children. Rideout, a pediatric trauma nurse coordinator for KPTI, is a busy woman. In her role, she finds herself doing many things: coordinating care for families, educating families about potential traumas, taking notes during patient/doctor consultations, visiting families, securing proper car seats for patients and distributing bicycle helmets and other safety information. Another big part of her job is to make sure everyone is doing everything necessary for the hospital to remain a Level 1 Pediatric Trauma center. That’s a big task—but one Rideout performs with a smile. She loves her job—she’s been here 15 years—and she takes great pride in sharing a little of the hospital’s early days as, literally, a floating hospital. The Floating Hospital was founded in 1894 as a hospital ship and was towed around Boston Harbor, serving more than 1,000 children in the first year. The partnership with Kiwanis also began on water, as the story goes. Kiwanis member and former president of the Kiwanis Foundation of New England Harold “Hap” Gerrish, a dentist from Maine, was on a boat with other Kiwanis members when talk turned to what they could do for pediatric patients. Kiwanis has funded millions of dollars for the program, Rideout says, in addition to providing volunteers on the ground to distribute important safety information and talk about trauma education. When it comes to talking about the money that flows into the KPTI program, John Maihos is an expert. He’s the immediate past president of the Kiwanis Foundation of New England, a position he held for the past three years. He knows all about the New England District’s countless bicycle rodeos. He knows the facts about childhood trauma and has some safety tips and stats to back it all up. And of course, he knows the importance of what Kiwanis is doing. “The KPTI program really is a community-outreach program, and it gets our name out in front of people,” he says. “If someone says, ‘Have you heard of Kiwanis?’ they have one more thing they can relate to Kiwanis. I think exposure is important. But even more important is we’re actually impacting kids’ lives. “We have such an important role. We don’t double as doctors. We’re the Kiwanians. We support the community program. We still have an affinity to it. We feel it’s ours in a way. It was a very emotional moment for him, and in fact when he tells the story, it becomes a very emotional moment for all Kiwanians in the room because they recognize that this program that we helped start is potentially going to help save this child’s life. If Walter J. Chwals could give parents and caregivers one bit of advice, it would be this: Wear a helmet. And he should know. As chief of pediatric surgery, professor at Tufts University School of Medicine and director of the Kiwanis Pediatric Trauma Institute, Chwals knows a thing or two about childhood trauma and how to prevent it. We asked Chwals to talk to us for 30 minutes about his jobs at the hospital and about childhood trauma in general. After almost an hour had passed, he showed no signs of running out of information to share. One of the most exciting projects he likes to talk about? A pediatric trauma database named after Kiwanian Hap Gerrish—a joint project between the Kiwanis Foundation of New England and KPTI. Chwals is passionate about spreading the word about trauma prevention. He goes through the list of childhood injuries by age group: falls from windows, improper (or no) restraint while riding in cars, failure to wear a helmet. All preventable scenarios when following the proper safety precautions. Chwals says educating the public about trauma is crucial. 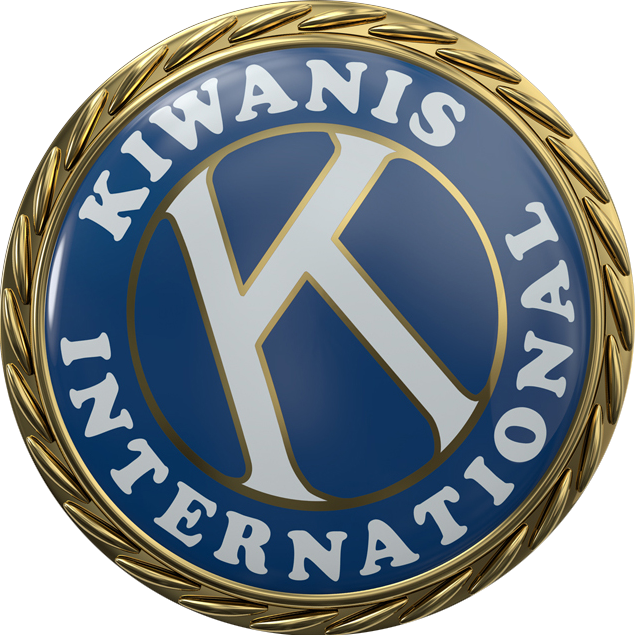 I have been a Kiwanis member for about nine years. When I read stories like this around the country and around the world I feel a deep since of humility and pride of belonging to something so very worthwhile. Thank you for the tremendous effort you have put into this project. The world is a better place because of it. Perhaps the Kiwanis of Boston could get a legislator to offer a bill in the Mass. legislature to require any and all bike riders to wear a helmet when on their bikes. I was director of a child advocacy agency in Atlanta before retiring to the mountains of North Carolina and we had a legislator offer a bill in the state legislature to require anyone riding a bike to wear a helmet, and it was passed. Another bill we sponsored was that if a child under 18 was riding in the back of a truck there must be an adult with the child, and it too was passed. Dr. Chwals’ comment about wearing a helmet when bike-riding, etc. is on the money, and I was delighted to see what Daniel Starnes and his team accomplished in N.C. However, I continue to be amazed at how many parents put a helmet on their kids, but don’t use one themselves when they do these activities. They are the caregivers and financial support persons for the child, but they can suffer brain injuries too. Sure, they’re adults, and they may have had a lot of experience, but that may not make much of a difference if they get hit by someone else.